WASHINGTON — Spending on U.S. construction projects ticked up 0.1% in July, led by an increase in homebuilding and the publicly funded building of schools and highways. The Commerce Department said Sept. 4 that the slight July increase brought total construction spending to a seasonally adjusted annual rate of $1.32 trillion, 5.8% higher than a year ago. Nonresidential construction — offices, stores, factories and other buildings — tumbled 0.3% in July. Some of that decline was offset by a 0.6% gain in homebuilding. Public construction rose 0.7% in July, including a 2.1% jump in the building of schools and a 0.4% advance in constructing highways and streets. 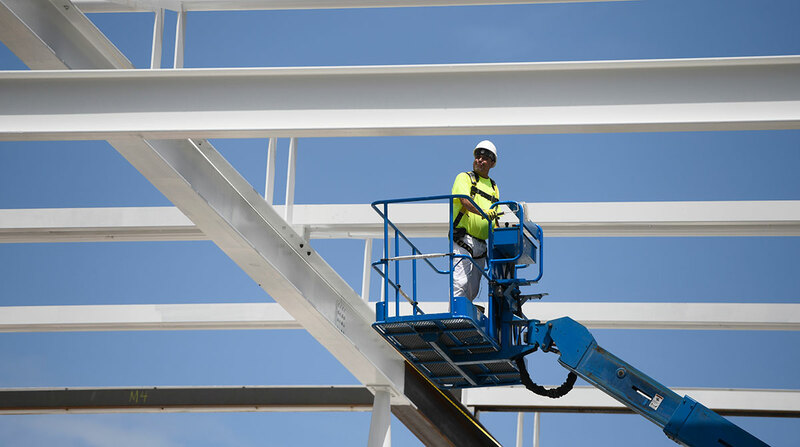 Construction spending growth helps to support the broader expansion of the U.S. economy. The buildings not only create jobs for carpenters, welders, roofers, bricklayers, engineers and architects but also provide housing and workspace that contribute to additional hiring in sectors outside of the construction industry. The U.S. economy expanded at a brisk 4.2% annual pace in the second quarter, nearly doubling the growth rate for gross domestic product during the first three months of the year. The private construction component of GDP rose 2.1% during the first quarter.